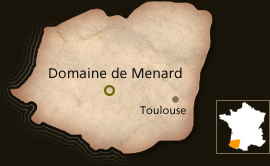 In the Heart of AOC Bas Armagnac, the Domaine de Menard is situated on the famous Via Podensis, a road taken for centuries by pilgrims who are going to Saint Jacques de Compostelle. The vineyard is established on a premium and ancestral terroirs. Indeed, plots are situated on a geologic marine site. You can find many fossils in vine rows. On the clay and limey soil, less deep and stony, we produce white and dry wines with Colombard, Ugni blanc and Sauvignon. On sandy and deep soil, Petit and Gros Manseng bunches are harvested lately, so as to produce our sweet wines with an exceptional finesse. The story of the estate has begun in 1920, when Jean François Morel, a swiss vintner, settled in Gascony so as to cultivate vine. At the beginning the vineyard was about 10 hectares. Denise, his daughter and her husband Jean Jegerlhener settled in the estate in 1960, and they built the cellar and expanded the vineyard. Their son Philip joins the team and devotes fully his time to manage the vineyard. Now run by their daughter, Elizabeth and her husband, Henry, the estate is about 120 hectares. The domaine first bottled its wine under their own name in 2003 and now have production upwards of 700,000 bottles. This wine is without doubt the more sophisticated of our estate. 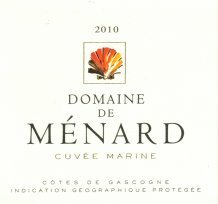 To make it, we blended three typical varieties of Gascony : Colombard (60 %) Sauvignon Blanc (20 %) Gros Manseng (20 %) The result is a top-quality wine, unspotted, with a nice complexity. We find exotic fruits, pineapple and grapefruit aromas. Drink this wine with fish, shellfish or seafood. 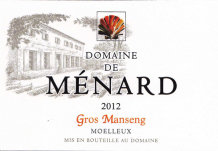 Our Gros Manseng is a voluptuous sweet wine, with aromas of honey, apricot and candied citrus fruit. Long on the palate, it retains subtle but definite freshness.